is mtr safe at night? I will arrive in HK @ 8pm. I will be taking the airport express to tsing yi then take the mtr to lai chi kwok station. Is it safe to take the mtr that late at night as I will be by myself? I am 25 female. Comments for is mtr safe at night? Re: Is mtr safe at night? Once again thank you for visiting our site. Yes, the MTR trains in Hong Kong is really safe and a very efficient way of transportation. 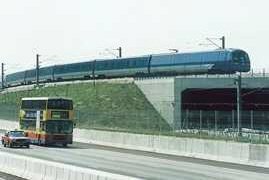 The Airport Express runs every 12 minutes from 05:50 to 01:15 daily. Journeys between the Airport and downtown Hong Kong take approximately 24 minutes. Here's the overview interactive map of Lai Chi Kok MTR station.